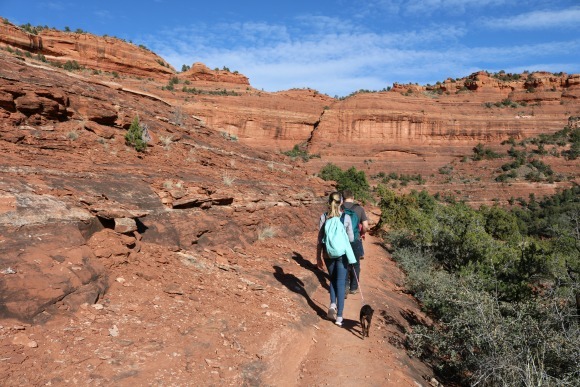 On one of our “adventure days” up north we wanted to get a peek at Long Canyon Trail in Sedona. 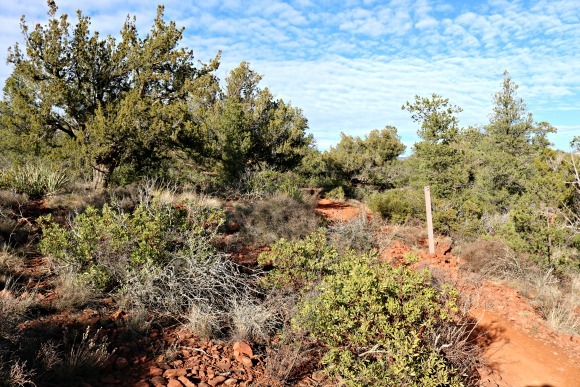 However, Long Canyon is an out and back trail. We were looking to do a loop so you never see the same bit of trail twice. 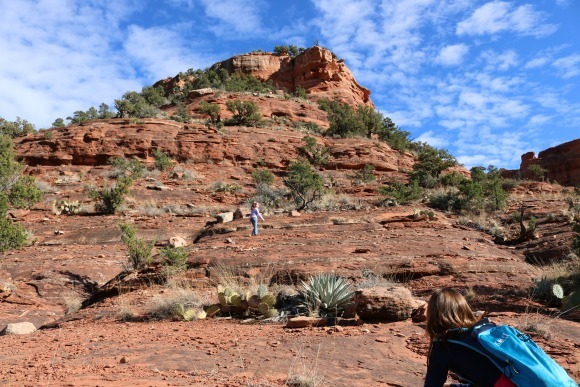 We ended up catching a tiny bit of Long Canyon, and then connected it to both Deadmans Pass and Mescal Trails (Mescal Trail connects Deadmans Pass and Long Canyon Trails). I absolutely loved this loop combination. It worked out to be around 5 miles in total which was just perfect for our youngest (reluctant) hiker. 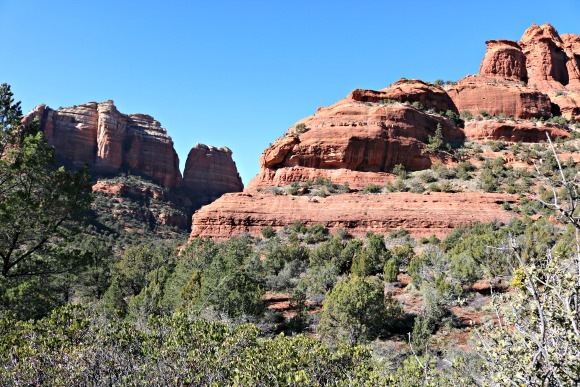 And just like every single trail I’ve hiked in Sedona – the views were breathtaking. 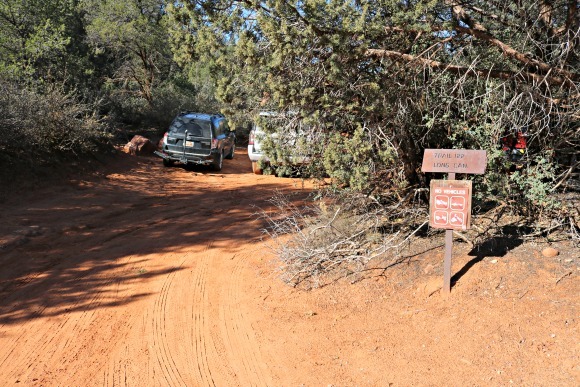 We started out trying to park in the tiny trailhead lot just off of Long Canyon Rd. It was full (probably because it was around the New Year’s holiday). 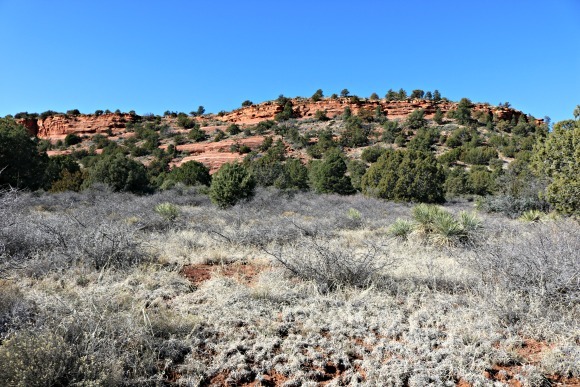 It wasn’t a problem though because were were able to park on the street on Long Canyon Rd itself just a few hundred yards back from the trailhead lot. 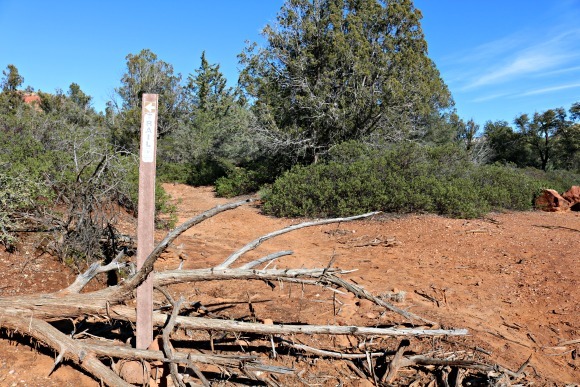 As you can tell from the picture, this trailhead has no water and no restrooms. 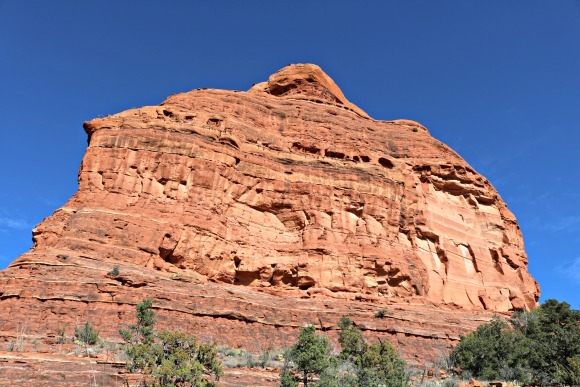 A Red Rock pass is not required to park at the Long Canyon trailhead or along Long Canyon Rd. 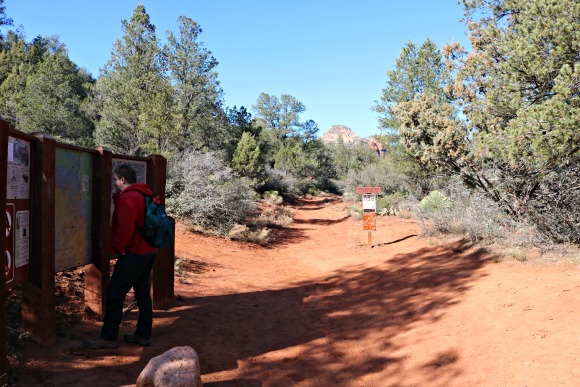 The very first thing you’ll see is a large bit of signage with the usual postings – a trail map, postings about not feeding the bears and other notices from the Red Rock Ranger district. 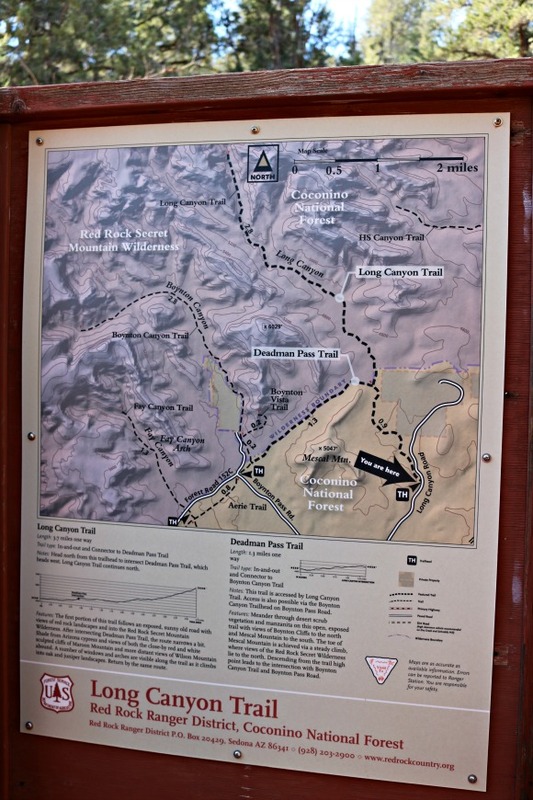 Here’s a closeup of the Long Canyon Trail map from the signage. 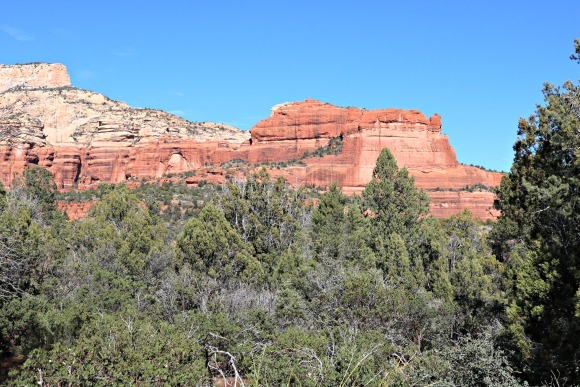 We decided to hike the loop counter-clockwise so we started out on Long Canyon Trail. 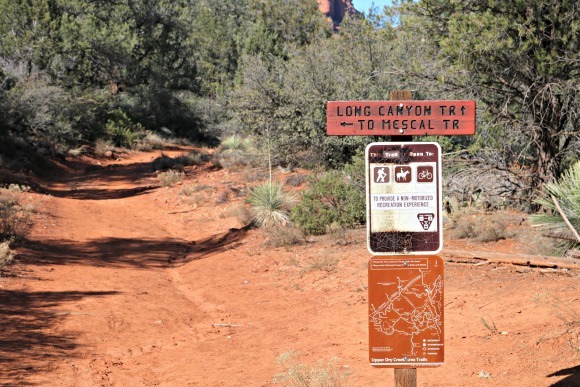 As you can see from the sign, this trail is open to hikers, bikers, and horses. 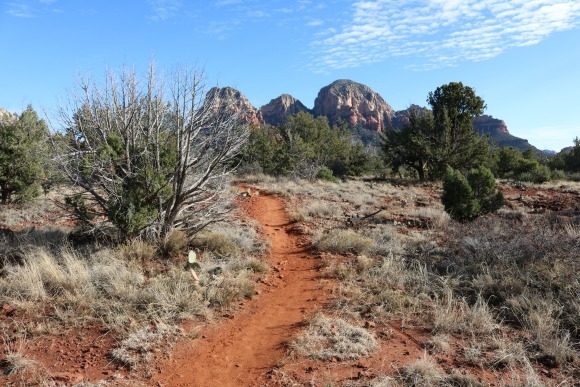 The trail was nice and dry with only tiny patches of old snow every so often. When we went in December, temperatures were in the 30’s at night, but high 40’s to low 50’s during the day. 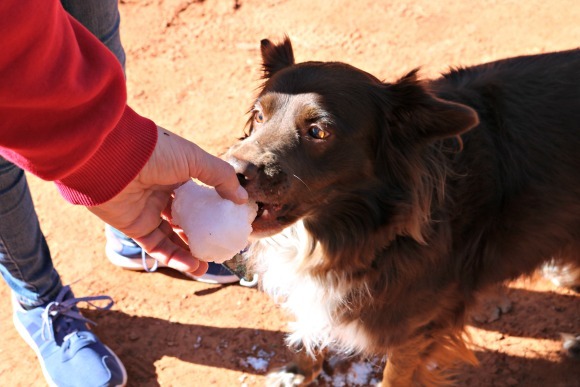 The kids loved seeing the snow and immediately scrounged together a snowball – and tried to feed it to Maia. 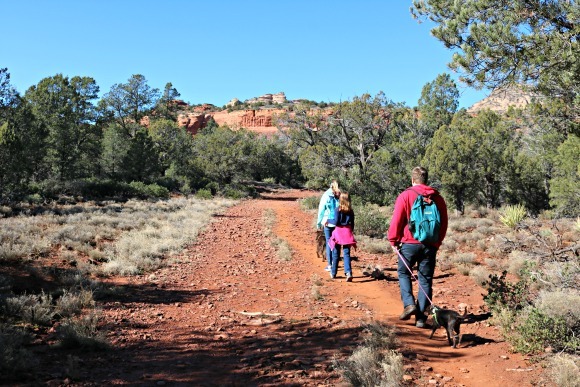 This trail is also leashed dog-friendly. 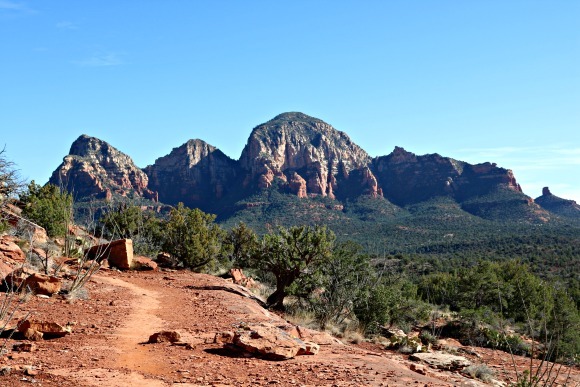 Here’s the view looking to the left on the trail. And here’s the view looking straight ahead. 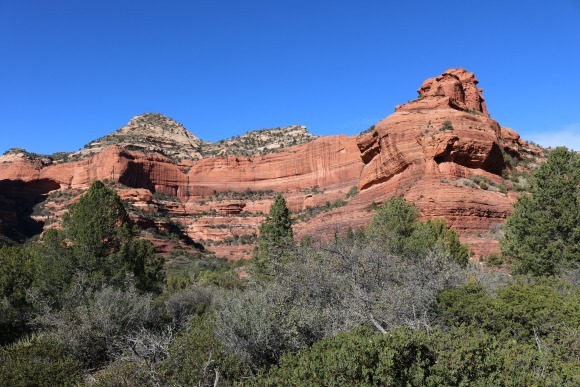 Long Canyon Trail intersects with Deadmans Pass Trail at just under a mile in. That mile is very flat, level terrain with gorgeous views on all sides. 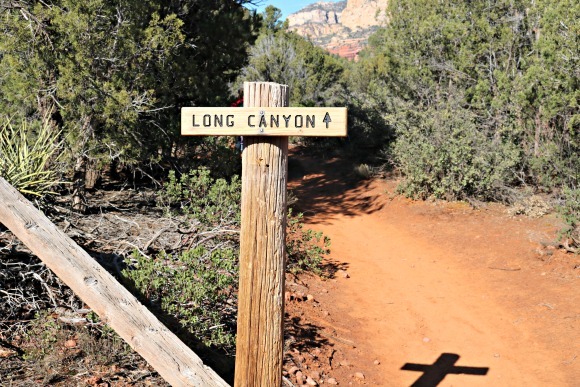 Keep following the signs to Long Canyon Trail. 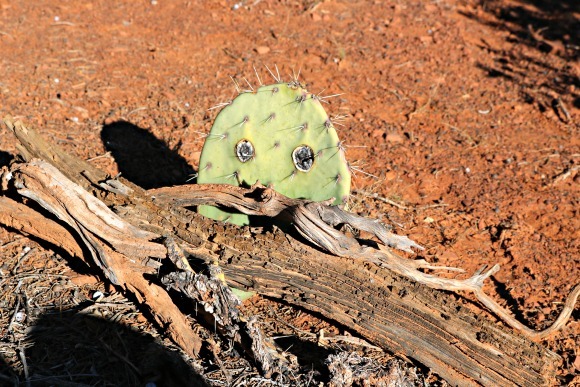 The kids thought this little prickly pear cactus was funny because it looked like it had eyes. 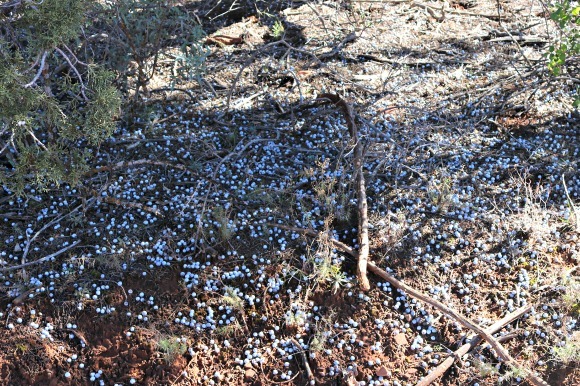 And there were juniper berries everywhere! 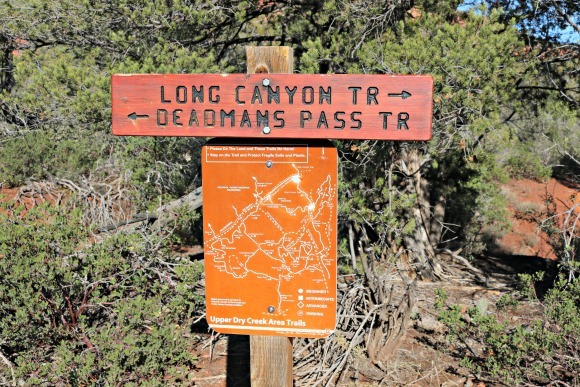 Here’s the point at which you turn off onto Deadmans Pass Trail. 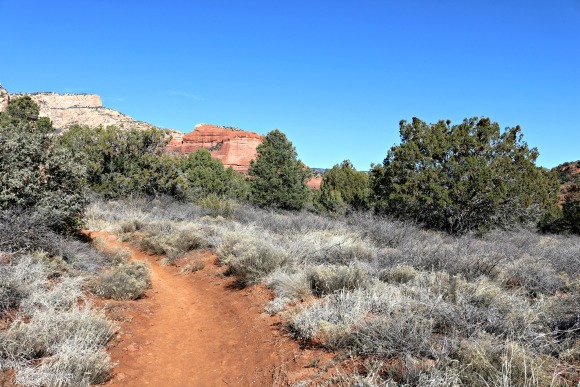 The trail will veer off to the left and begin to climb just a little bit. 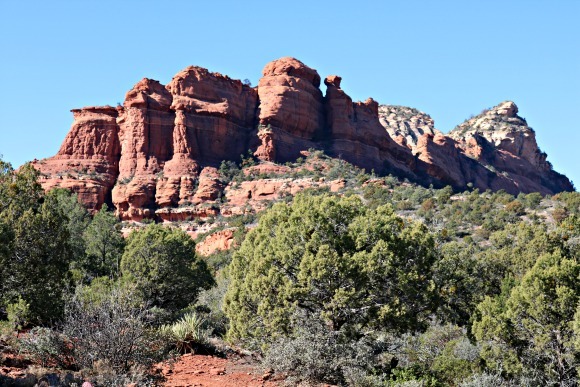 This is the view looking off to the right as you hike. After making our way partly up the hill, I turned around to look behind us and found this incredible view. 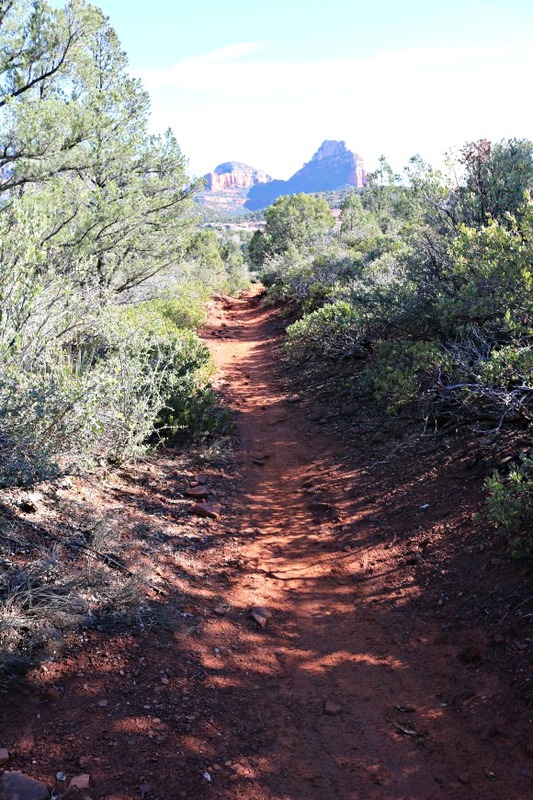 This trail can get VERY muddy (and red rock mud is just not the same as regular mud) when there’s fresh snow or rain. But we lucked out and it was nice and dry. 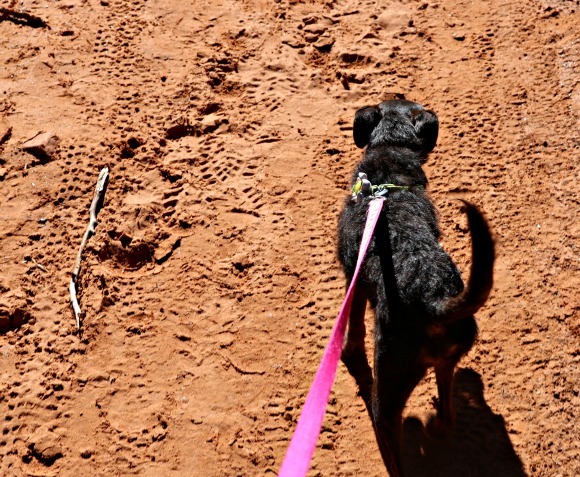 Roo was a determined hiker. 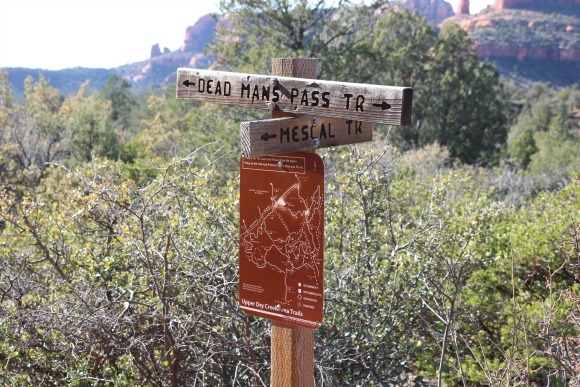 Here’s the turn off point to switch over to Mescal Trail (which wraps you around Mescal Mountain). 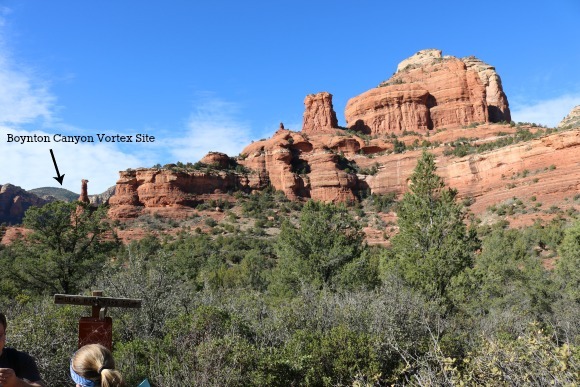 If you stand facing the trail sign in the image above you’ll see that directly in front of you is the Boynton Canyon Vortex site. 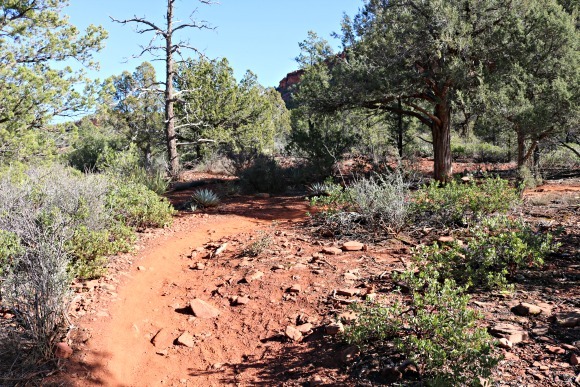 If you kept on going down Deadmans Pass Trail, it would connect up with Boynton Canyon Trail. 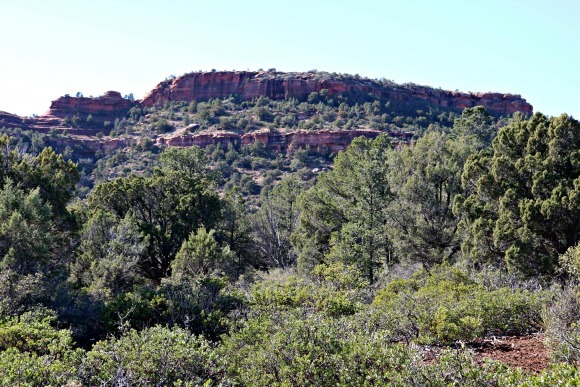 Here’s a few shots as we headed up Mescal Trail. 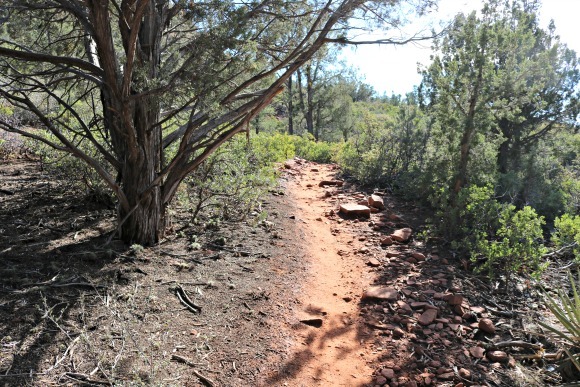 At first, it’s just trees and trail with no view of Mescal Mountain. All of a sudden, you’re at Mescal Mountain. It’s a great climbing place (as you can tell from my kids in the pic below). 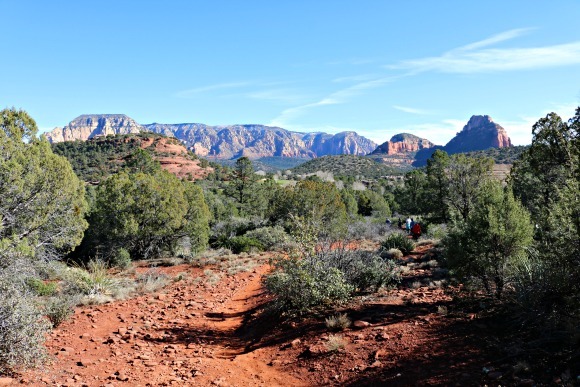 This is the point at which the trail got crowded – with mountain bikers. There was a mountain biker or two coming every few minutes so we spent a lot of time moving out of the way so they could pass on the rather narrow single track trail. Not my favorite part of this trail, although the scenery was amazing. It was just a few too many bikes for me. My husband, however, was busy making plans to bring his bike up next time. 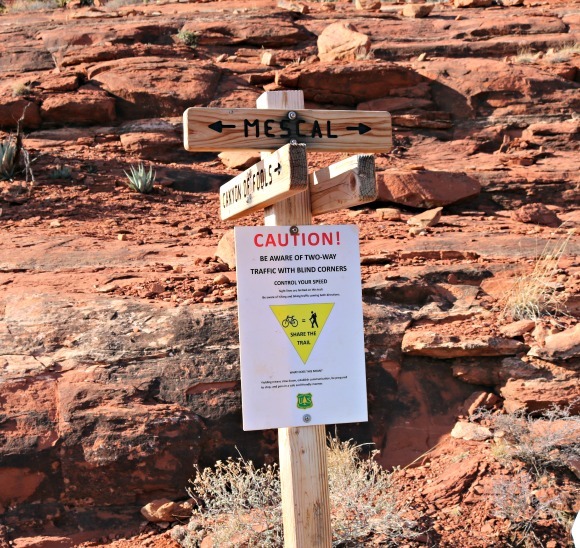 You’ll notice that the signage here isn’t for hikers – but rather for bikers. 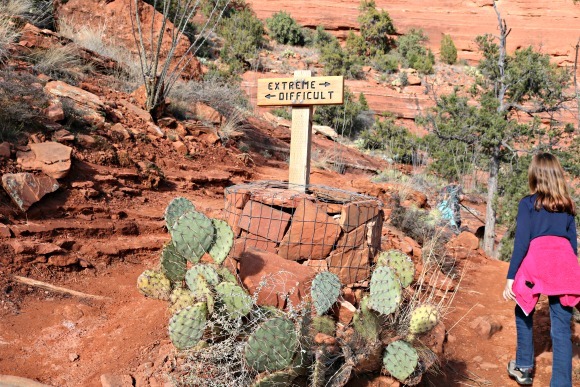 This trail isn’t extreme or difficult for hikers at all. In fact, we thought it wasn’t even necessarily that difficult (let alone extreme) for bikers either. 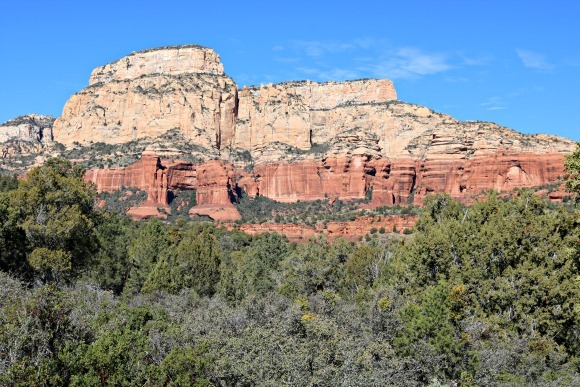 All around is Mescal Mountain – isn’t that awesome? 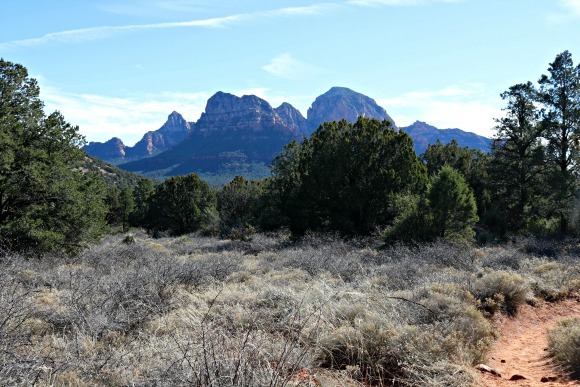 Once you wrap around the mountain you’re back to the scrubby terrain again. 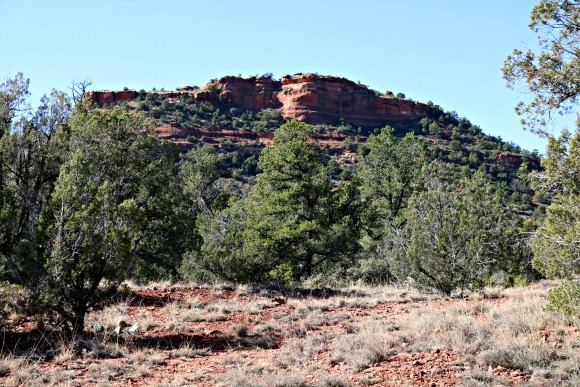 And here’s the point at which we hopped back onto Long Canyon Trail to head back to our car. 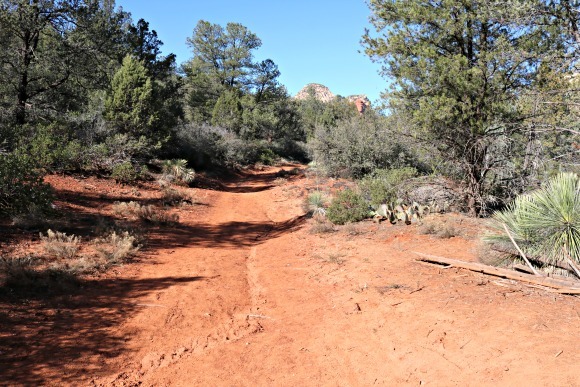 Here’s the final stretch before the trail hits the trailhead parking lot area. 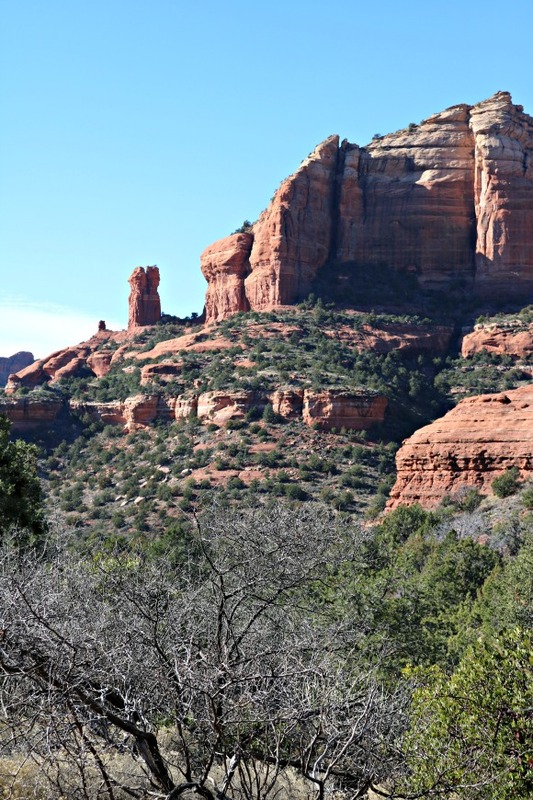 We loved this hike (with the exception of the mountain bike traffic)! 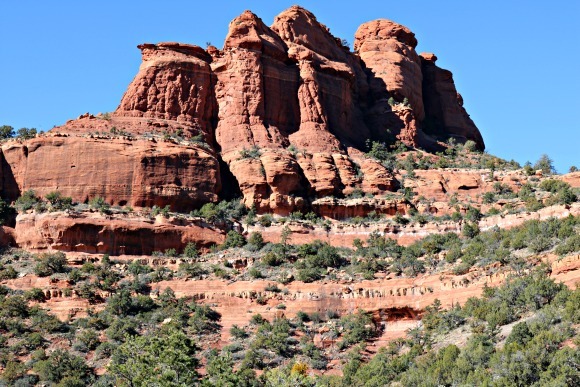 And honestly – it would be just as great if you hiked it in reverse and did it clock-wise. 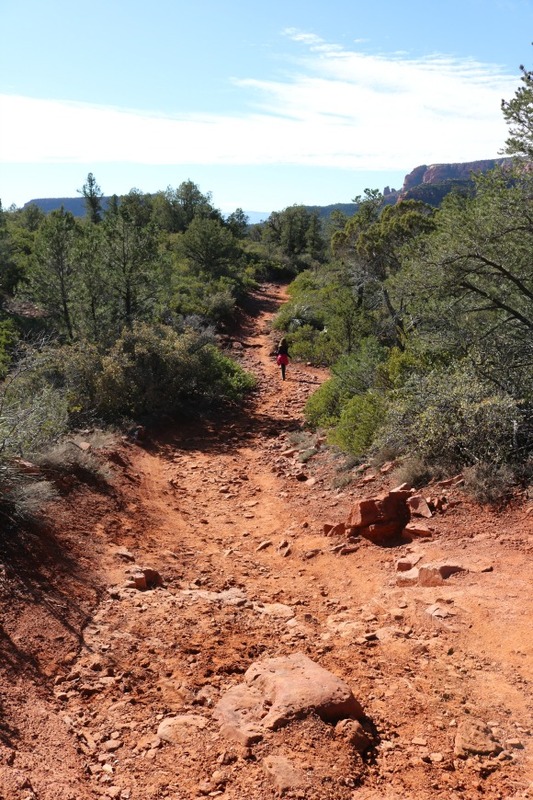 There was no huge difference in elevation gain or particularly tough bits if you had switched it up. It took our family of five about 3 hours from start to finish with lots of time spent moving aside for bikers one the Mescal Trail portion. 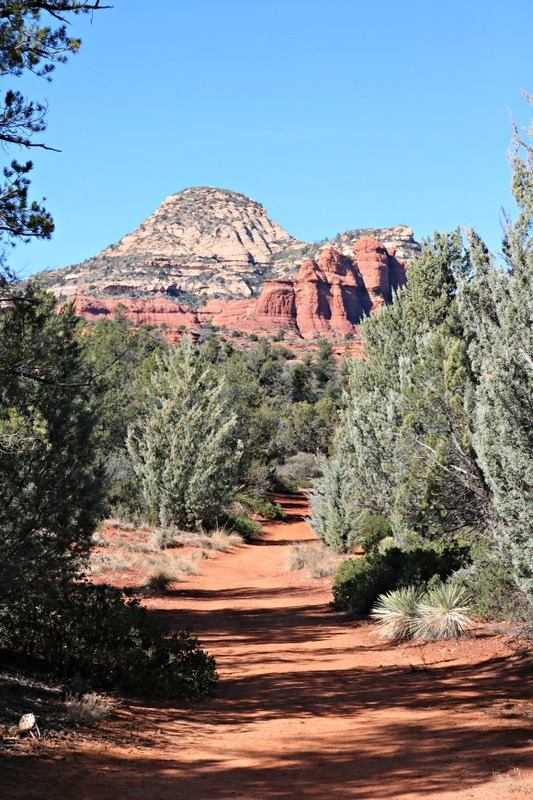 If you get a chance to visit Sedona and are looking for an awesome easy hike – this one is it! 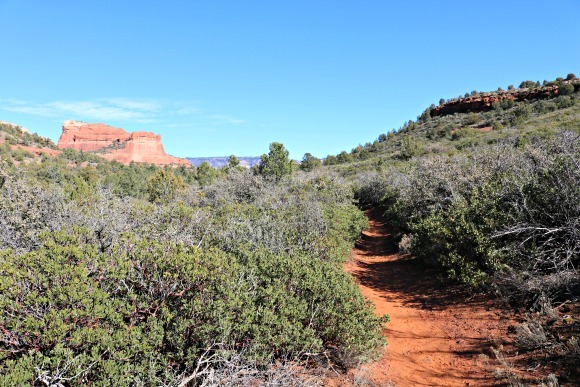 For more information on any of these trails, please check out the Coconino National Forest Service site for Long Canyon Trail, or Deadmans Pass Trail. 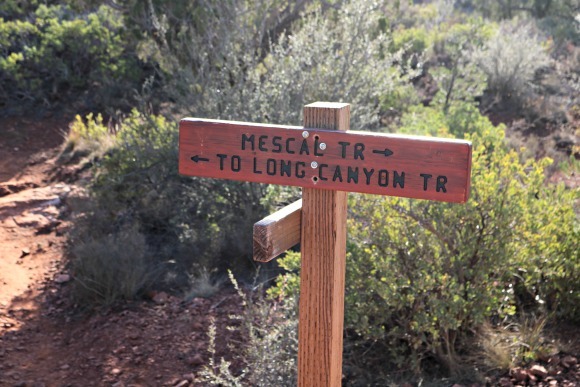 For some reason, the site for the Mescal Trail has disappeared, but there is information about Mescal in the Long Canyon and Deadmans Pass links. Happy Hiking!